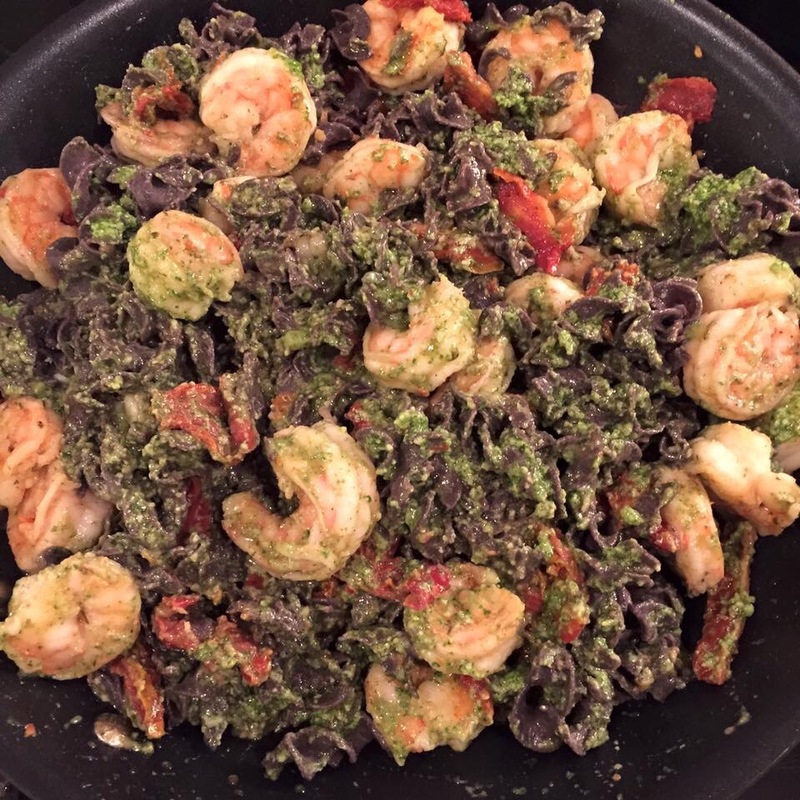 In honor of National Shrimp Day…..
Another love of mine is pesto. Preferably with shrimp, but it’s good on many things including chicken and pizza. 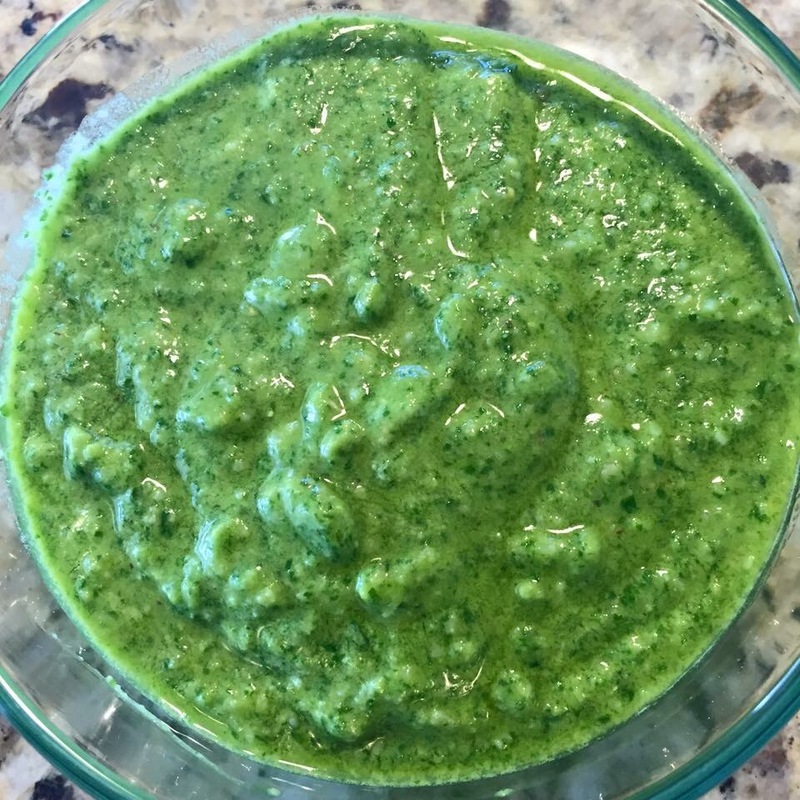 I make my pesto a little differently than the traditional recipe. I omit the garlic and I add the juice of a lemon. The garlic is overpowering to me and the lemon gives it a nice flavor that pairs perfectly with fresh shrimp. 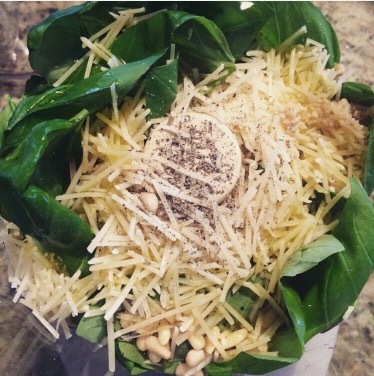 I fill my food processor with basil leaves, 1/3 cup pine nuts, 1/2 cup shredded parm, 1/2 cup EVOO, juice of a lemon, and salt & pepper. 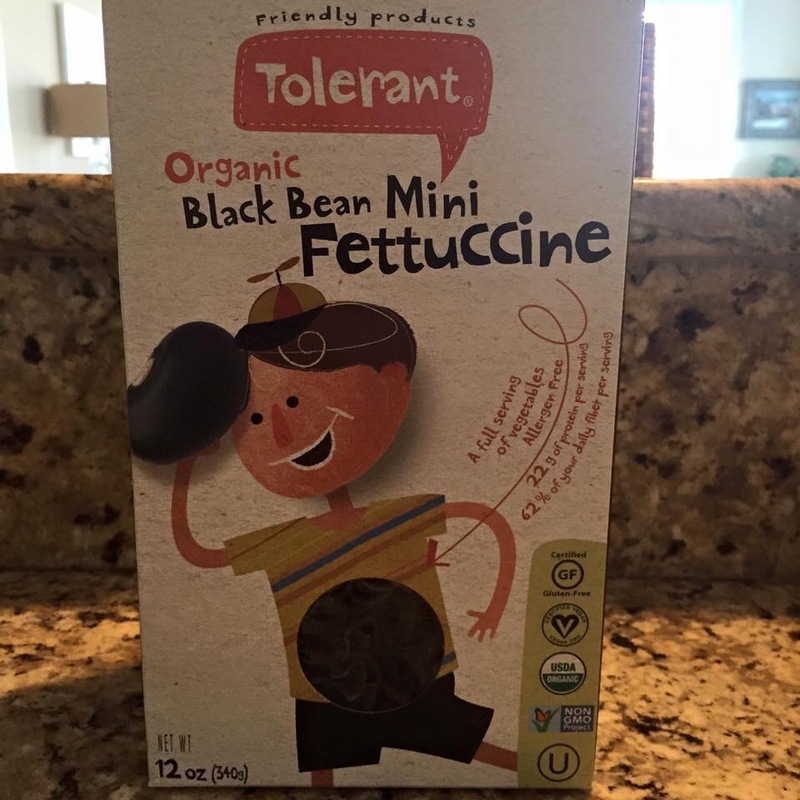 This black bean pasta is amazing with 15g of fiber and 22 grams of protein per serving. They also make a red lentil version that is equally delish. I sauté sliced sundried tomatoes with the shrimp and then toss it all together. Beautiful dish and always a crowd pleaser! !